For listings of French Quarter establishments, please visit our Resources page and click on Additional Research. 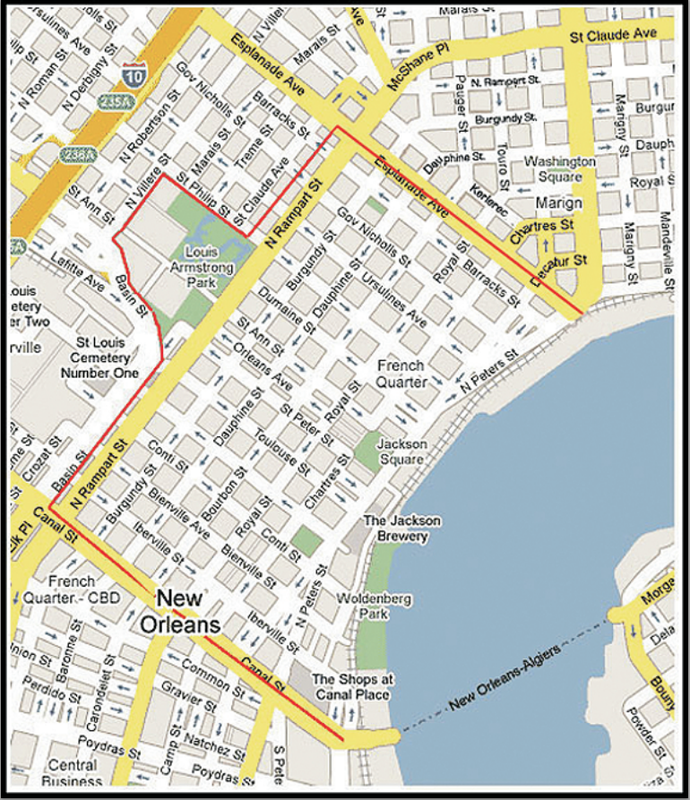 The Vieux Carré Area Zoning Map, courtesy of UNO College of Urban and Public Affairs, Division of Community Planning, was corrected in 2002. A colorized zoning key was implemented to make the designations distinguishable. Click here or on the map below for a larger version to review.